We are a a leading residential, industrial and commercial remodeling company in the Waco, Texas area. We have more than 16 years experience in all phases of construction on homes. We stay current with trends and technology keeping us on the cutting edge of the cutting, removal, and remodeling industry. Call Grinsfield Home Remodeling today for a shower renovation estimate in and around Waco and the Baylor area. Take time when considering your flooring, wallcovering and lighting schemes to ensure that all the elements work together to create a practical but stylish space. 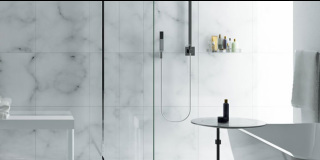 Popular shower and bathroom flooring options include vinyl and linoleum, plus cork, natural fibers and rubber. Underfloor heating: Although you may consider it an impossible luxury, underfloor heating can be surprisingly affordable and there is no better way to take the chill off those cold winter mornings when you step out of the shower. Particularly recommended with cold ceramic tiles, there are a number of choices on the market. Laying electric matting under tiling is a reasonably straightforward option. Alternatively, underfloor pipes can be connected directly to your central heating system. If you don't want to go to the bother of lifting an existing floor, consider installing long low hung radiators, which hug the skirting board at the base of the wall. An iron towel rack in a bathroom and a wire basket for magazines on top of the toilet tank complement the rustic texture of the wall tiles in this bathroom.